B&W Image of an adding machine. 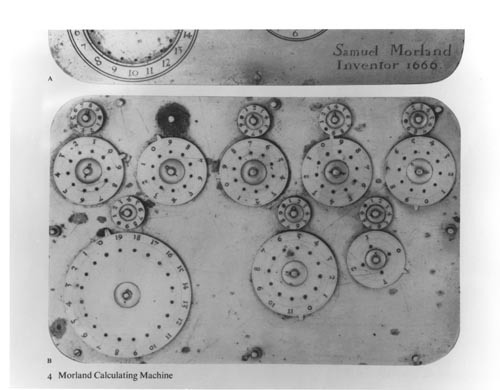 Recto: "Samuel Morland Inventor 1660"
Image is from a book with upper part labeled 'A' showing partial front of adder. The lower part labeled 'B' " 4 Morland Callculating machine'. The lower part shows the wheels and the carry mechanism.